CrossLoop, which is an excellent desktop sharing software, could also be the next Elance for hiring tech support professionals who can remotely fix your computer problems in real-time. 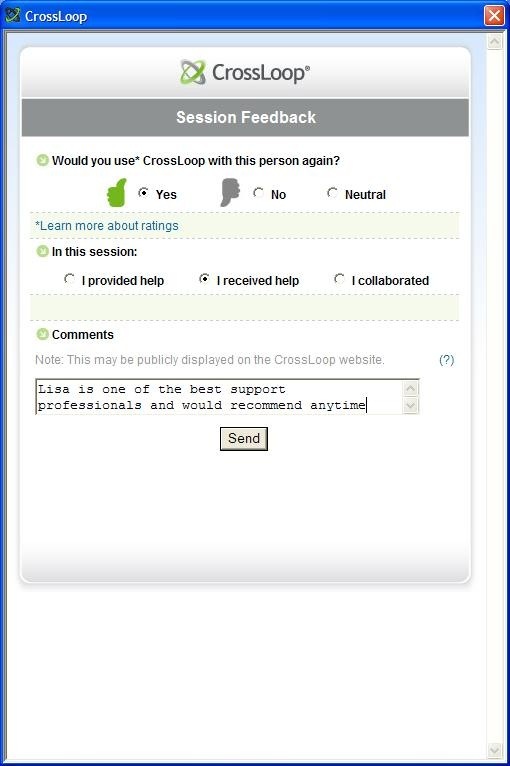 Today, they have launched CrossLoop 2.0 that adds a “social” element to this already popular remote desktop sharing software and makes it extremely lucrative to IT Helpdesk staff and tech support personnel. 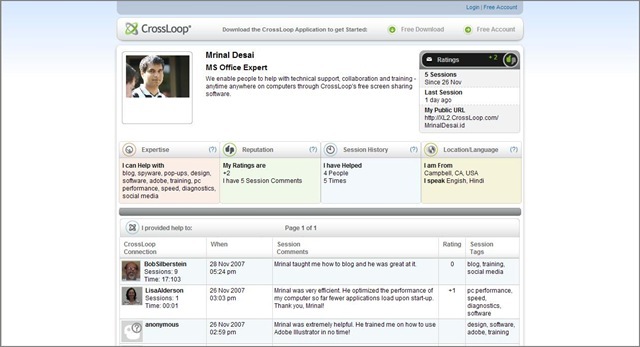 You can now create a personal profile on CrossLoop website that details your areas of expertise. 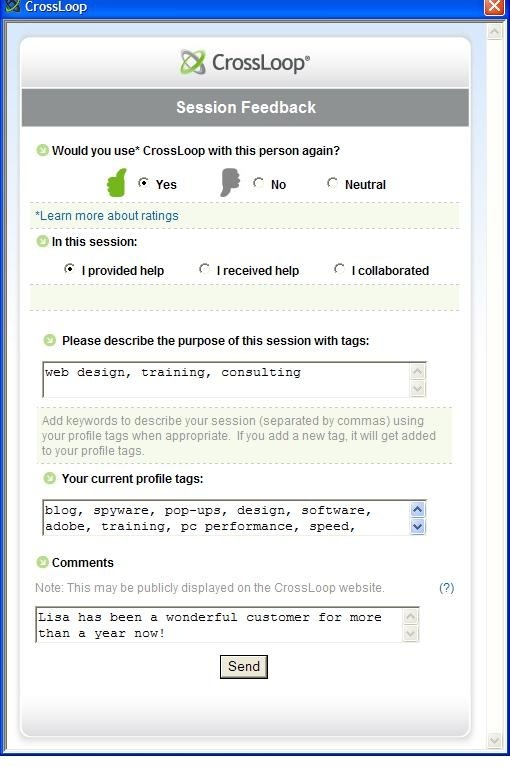 When you provide remote help to others using CrossLoop, they can rate the session and that feedback is automatically added to your public profile. This “CrossLoop reputation” will become an important factor when you go beyond friends and family and decide to provide professional help to potential customers. They can view your history on CrossLoop and decide whether they want to avail your service or not. Going forward, this CrossLoop database could become the one-stop shop for finding good tech support personnel. And best of all, CrossLoop is still free. The only downside is that CrossLoop is only available for Windows so they could be missing a large chunk of users who may be running Mac or Linux platforms. In April, Mrinal did hint that were are planning to make CrossLoop available across various platforms.